Somehow, every time Rebel Wilson and Adam DeVine are on screen together they click. 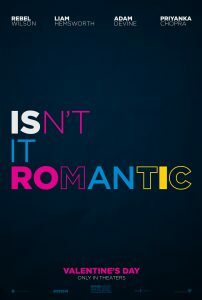 The new film “Isn’t it Romantic” is a continuation to the couples on-screen love, from the “Pitch Perfect” series. 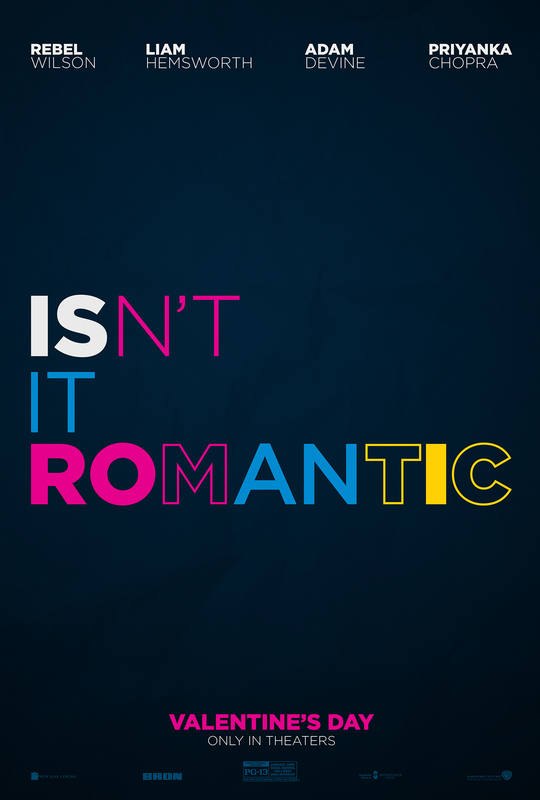 While the film is fascinating because of the scenery and characters, “Isn’t it Romantic,” which premiered Feb. 13, will surely win every viewer over. Director Todd Strauss-Schulson bestows an enthralling and romantic comedy. The movie includes the best young comedians and plot twists throughout the movie. The film begins by showing a young Natalie (Rebel Wilson) watching the romantic comedy “Pretty Woman.” The movie proceeds to show Natalie’s work life as an architect. Natalie and her assistant began to rant randomly about everything they hate in rom com movies. After a stressful day at work in the Big Apple, Natalie takes the subway home. She ended up getting mugged by a random man, but she didn’t go down without a fight. Natalie ended up winning the battle for her purse, but when she got up from the floor to run away, she ran dead into a pole. The trailer portrays this as a much cheesier version of what actually happens. Wilson, who is not new to the comedy scene, flawlessly gets the audience laughing in this film, just like her previous ones. She was a hit in the movie series “Pitch Perfect” while playing the memorable character Fat Amy. Adam DeVine acts as Josh, who turns out to be Natalie’s best friend in the movie. Almost instantly, viewers know that’s a scam. After being mugged, Natalie wakes up in a hospital bed and all men are immediately attracted to her. She even managed to win over Blake (Liam Hemsworth). The movie ends up turning into everything she was complaining about with her assistant earlier on in the film. At first Natalie endures the new life she gets to live, until she finally realizes it isn’t her life to live. While the film looks like just a plain old comedy it really continues to redefine the expectations of beauty, sexual orientation and happiness. There is a ton to laugh about when watching this movie. Just the scenery and sounds will make you want to get up and dance. If watched and analyzed, the movie shows great perspectives of life and love. “Isn’t it Romantic” completely engaged the audience and rooting for Natalie.